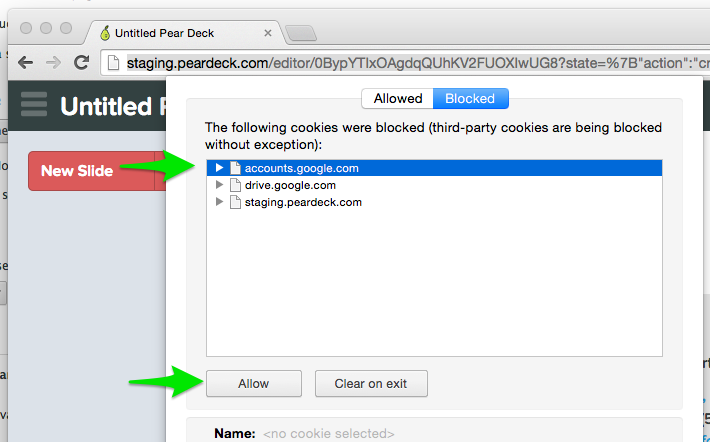 Pear Deck requires cookies from peardeck.com and also a few third parties in order to work correctly. If you're using Google Chrome, the following instructions may be helpful. 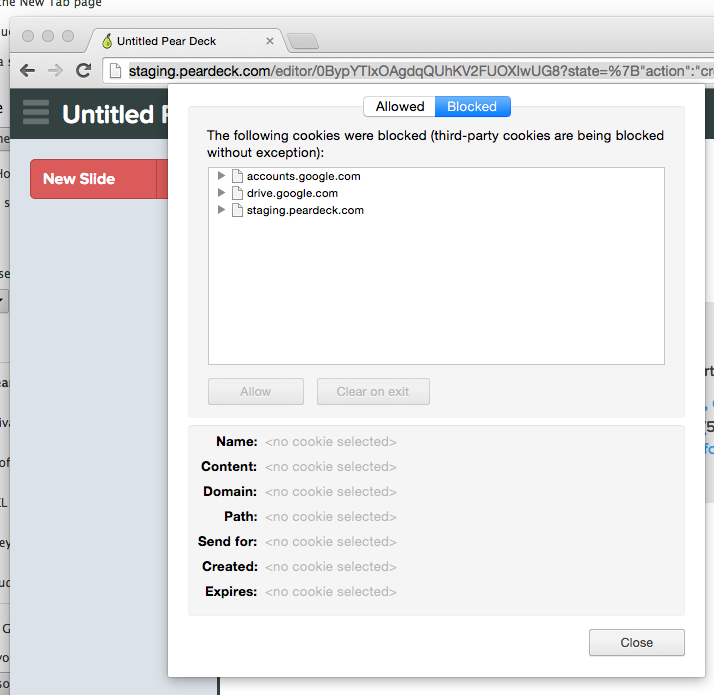 If cookies are blocked, Chrome will show you an icon like this in the URL bar. 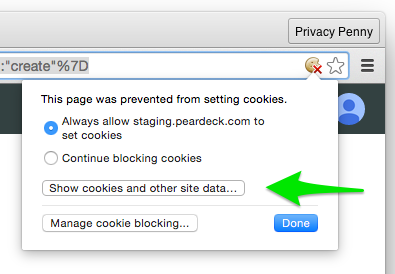 To unblock the cookies, click that icon and you'll see a popup with some settings. Click the button that says "Show cookies and other site data." You'll see a list of cookies that were blocked. Click on the first item in the list and then click "Allow." Do this for all of the cookies you see to allow them all. Then click the "Close" button. The dialog will close, and chrome will prompt you to reload the page. Click reload, and you should see that Pear Deck is working!